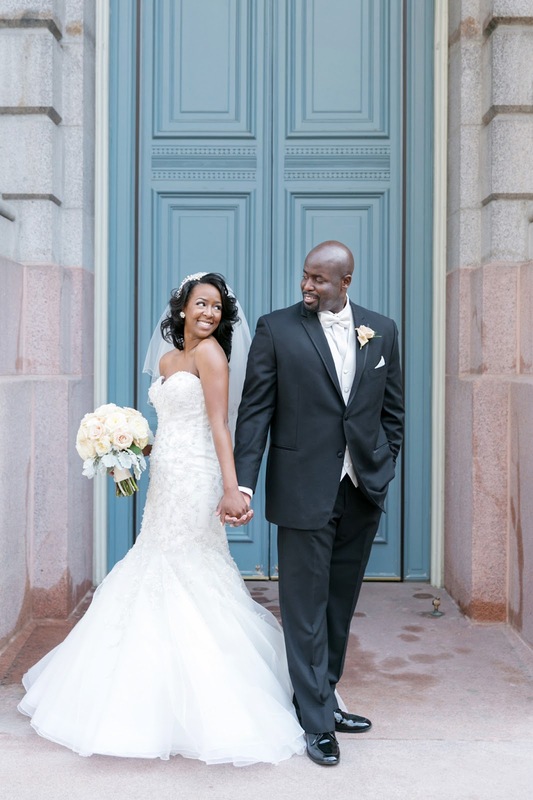 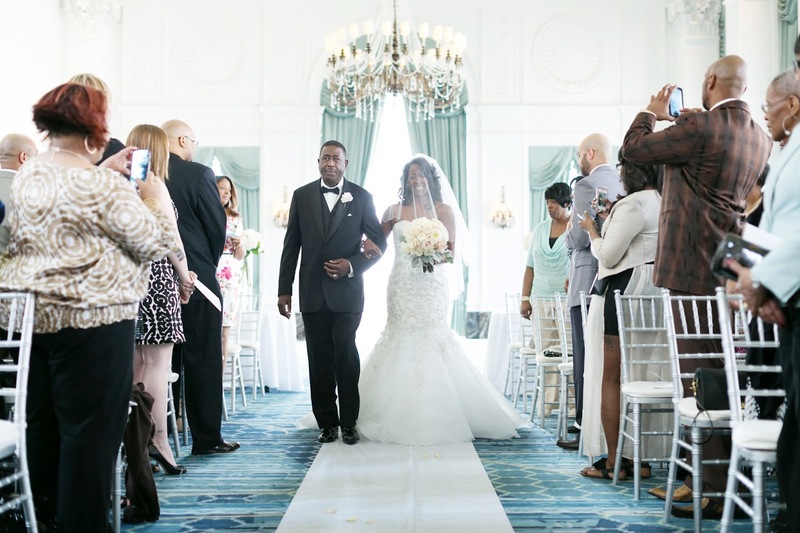 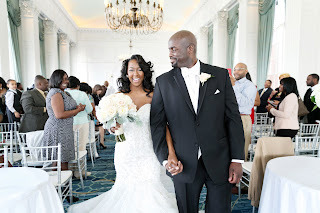 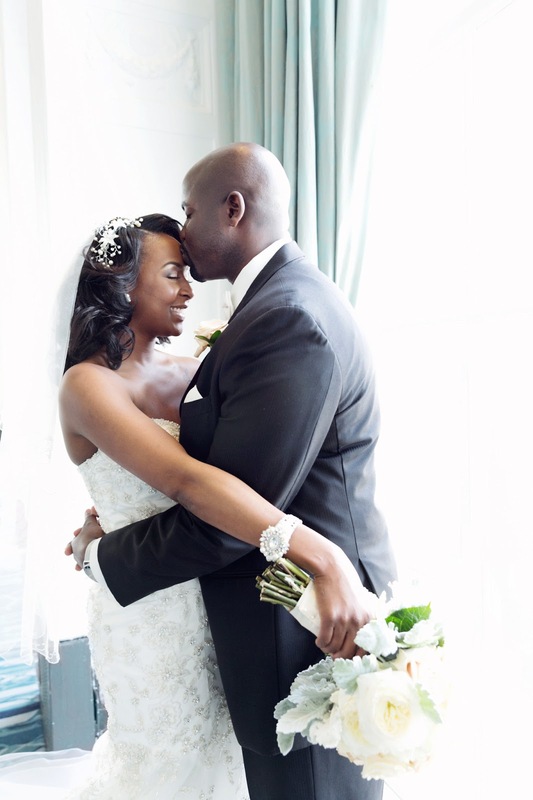 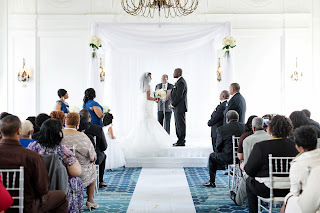 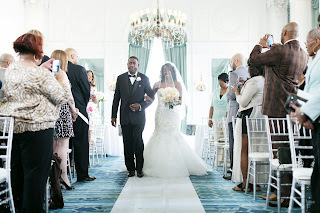 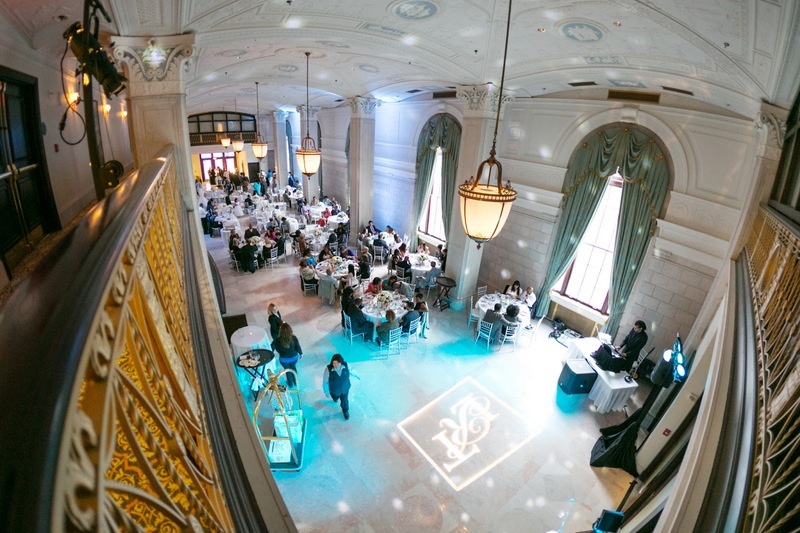 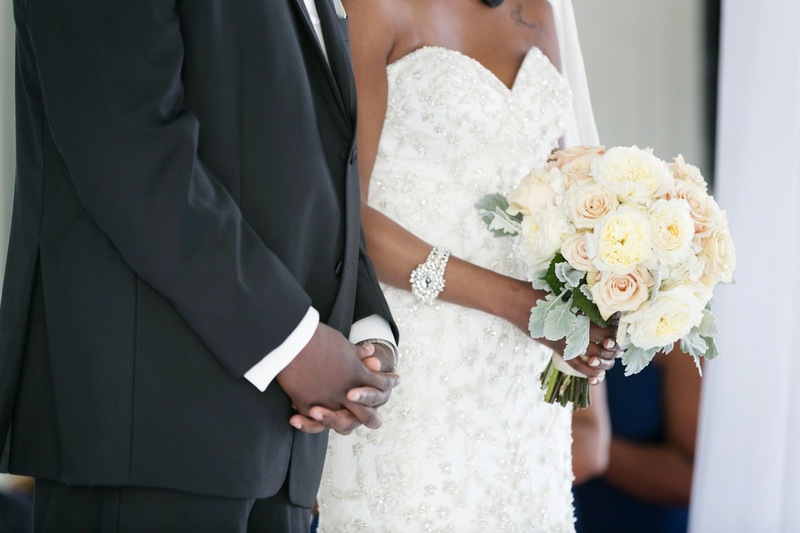 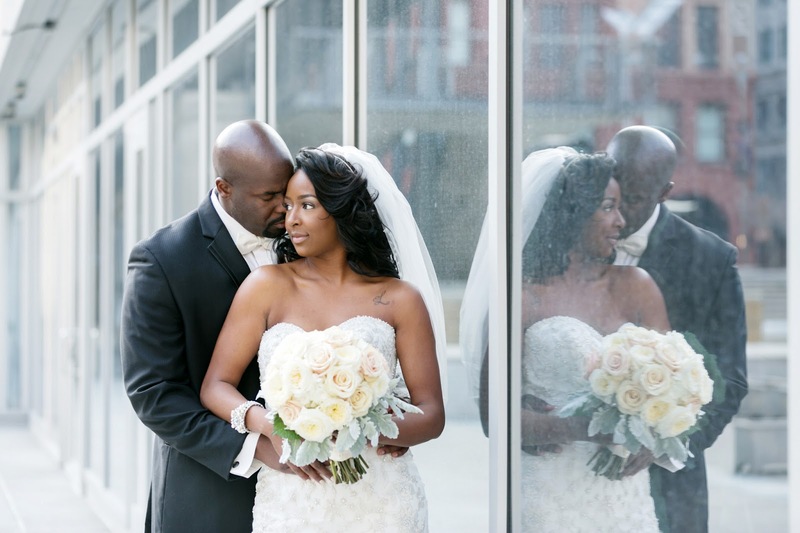 Lynette and Terrance had a gorgeous ceremony and reception in two of the wonderful spaces at the Renaissance Grand. 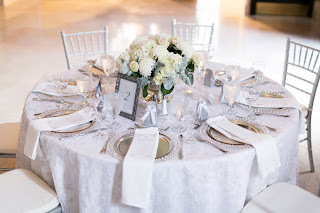 All the details mimicked their soft, classic style. Images by L Photographie. 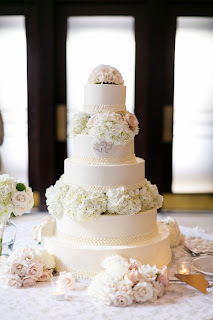 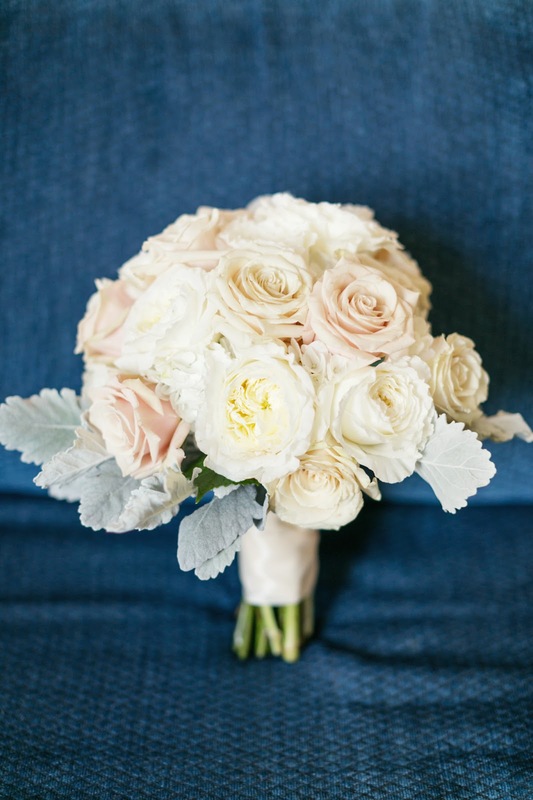 Lynette’s bouquet was a lush mix of hydrangea, garden roses, and Sahara roses rounded out with dusty miller. 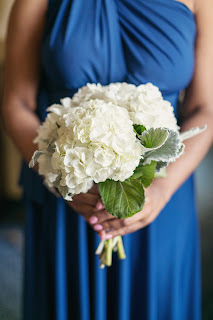 White hydrangea and dusty miller clutches for the bridesmaids. 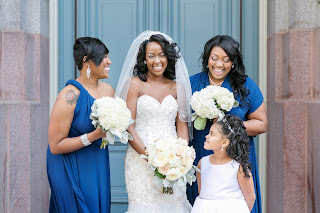 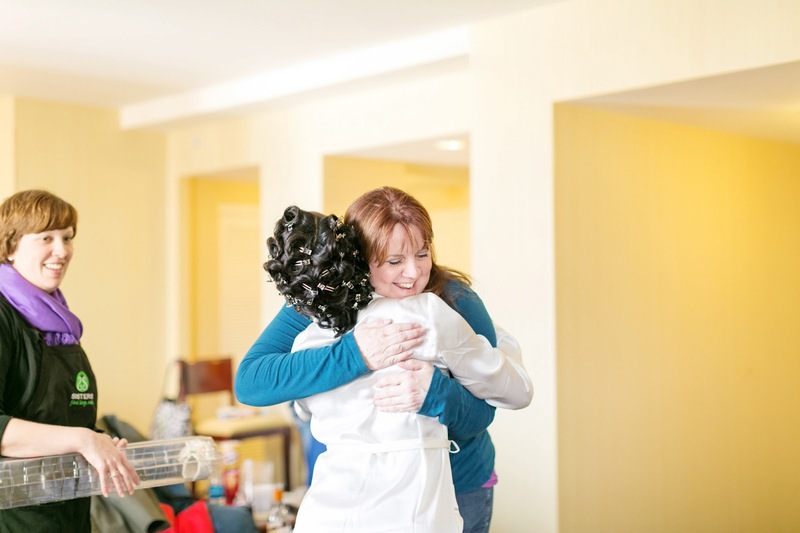 Lynette was such a grateful and happy bride. She even gave Emily and Shelly hugs when they delivered! The ceremony was held upstairs in the Crystal Ballroom. The natural light from the windows was awesome! The reception was held downstairs in the Statler Ballroom. 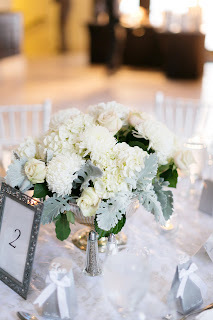 The guest tables featured these silver bowls with white and ivory blooms and dusty miller.